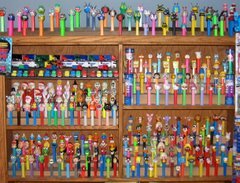 Images of a few new PEZ are showing up. Some were on the original 2010 list some are surprises. The PLUSH HELLO KITTY set. 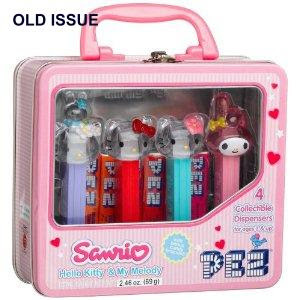 A new HELLO KITTY TIN - a lunch box with ONE new PEZ character that is different from the old tin set issued a couple of years ago. The new character is the full body Hello Kitty at the far left. The ACE HARDWARE HAULER - available at Ace Hardware stores. Here is a funny little PEZ that is just becoming available - yes, the weird little GEICO GECKO. 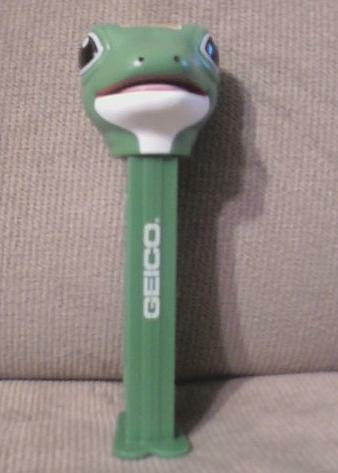 Word is that he can be obtained at Geico offices (reportedly they have a number of gecko collectibles). Who has a Geico office near them?